Welcome to the weekend! Hope you had a good week. I’ll admit I struggled with coloring this past weekend. I was in card making mode with a vengeance, and most of my images were previously colored, due to the challenge. But I did get some coloring in. I colored the mushroom on this card. Then I felt guilty about just coloring a mushroom. 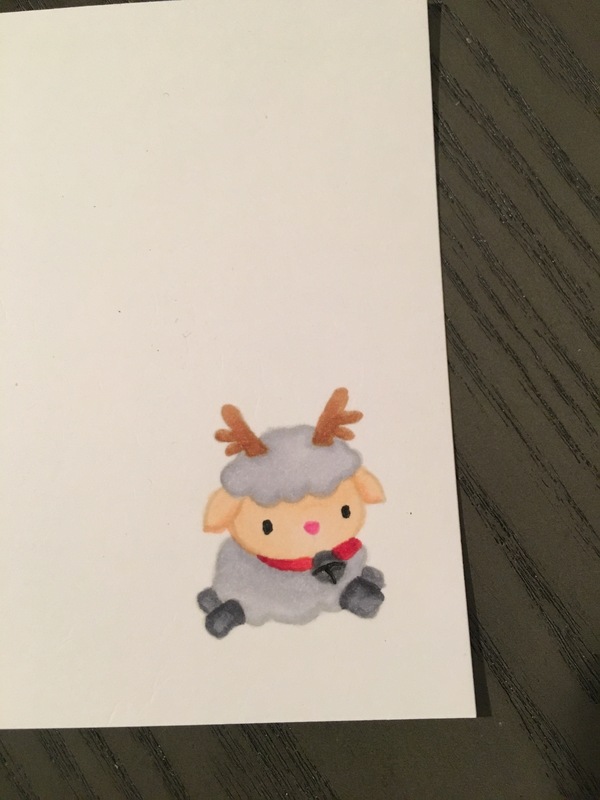 Also, I needed the sheep image on the card below to have red accents, and the only one I had that was already colored was green. So I colored the little guy on the next card. These are some of my favorite stamps, and one of the first sets I purchased. This is Hot Stuff from Clearly Besotted. Aren’t they adorable? I got these out to color to celebrate finally finding the matching dies. I used Copic markers to color them. A co-worker asked me to make a mushy card for her husband’s birthday. 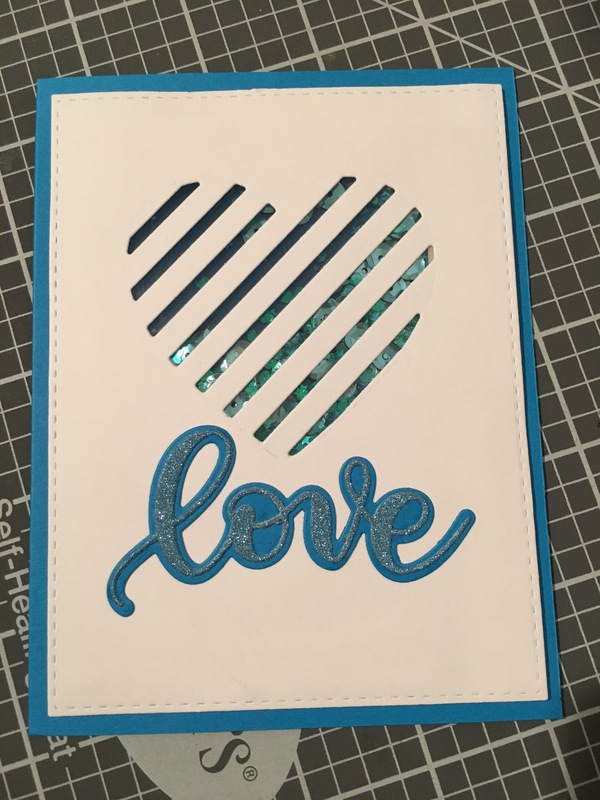 I know, this doesn’t look very “mushy.” My co-worker just started making cards herself, but she couldn’t make her husband’ card as he sees what she’s crafting. So, she picked this still from cards I’ve previously made and I put it together. Then, I brought some stamps in to work with me to finish it off. It is a shaker card, and the heart die is from Your Next Stamps. 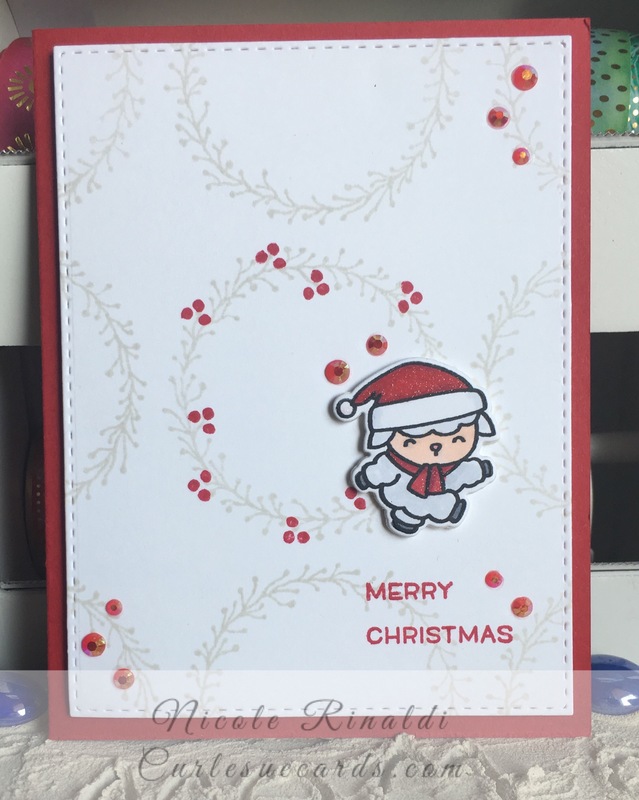 The love sentiment is from Simon Says Stamps’ Kristina’s Love. 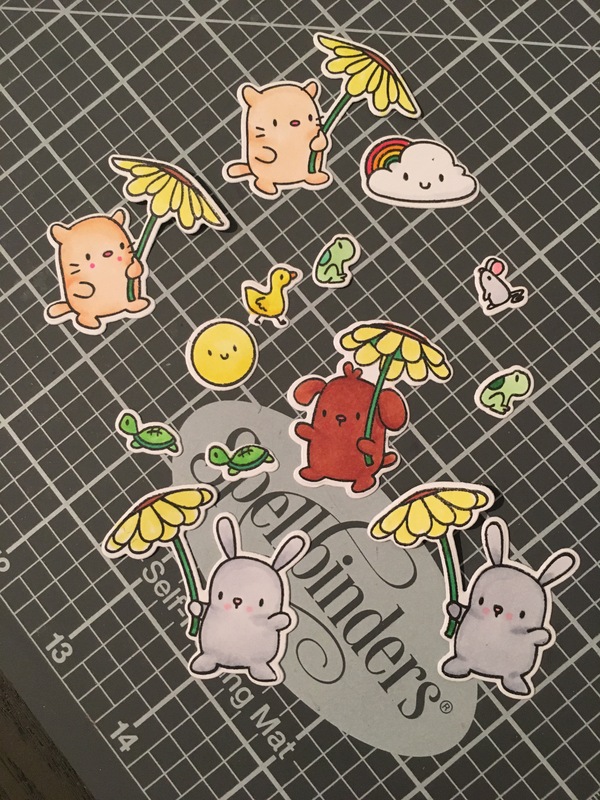 These little guys in the second picture are from a new set called Rain or Shine. This set was a collaboration with Mama Elephant and Simon Says Stamps for Stamptember. I’ll have a blog post soon featuring cards I made with this set. 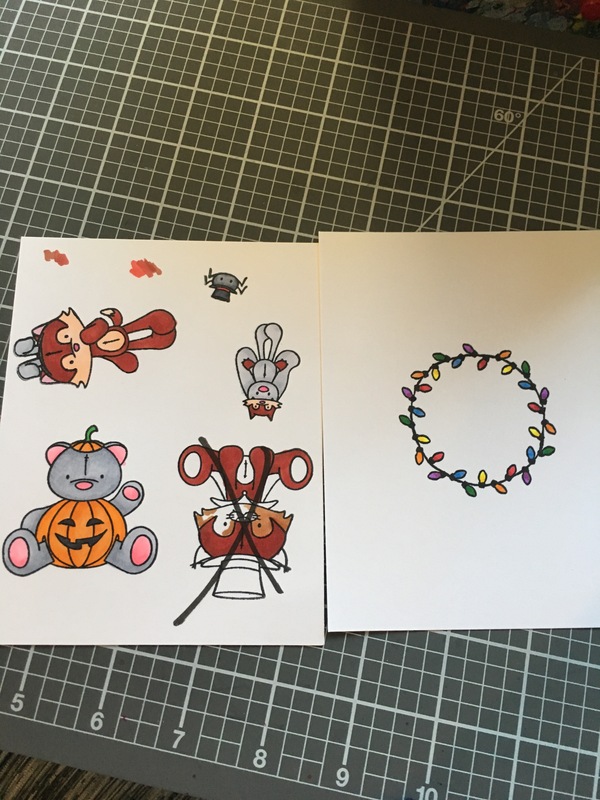 They are fun to color with Copic markers. This is something I have been meaning to try for awhile. It’s called No Line coloring. It’s where you stamp an image in a very light color ink, and then color in the image, with your coloring covering up the ink stamp lines. It results in a softer, more hand drawn look. It’s a lot of fun but I think I will try a floral image next. For this attempt I used a little guy from Mama Elephant’s Wooly Winter stamped in Grout Gray ink from MFT. I colored him with Copic markers. This set of stamps is from Mommy Lhey and is called Love in Full Bloom. 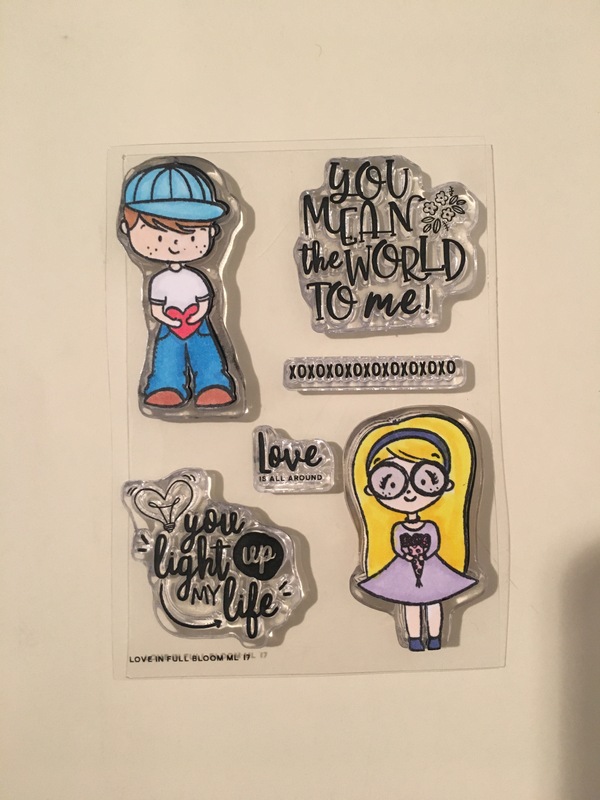 This set was a free gift with purchase from Simon Says Stamps. 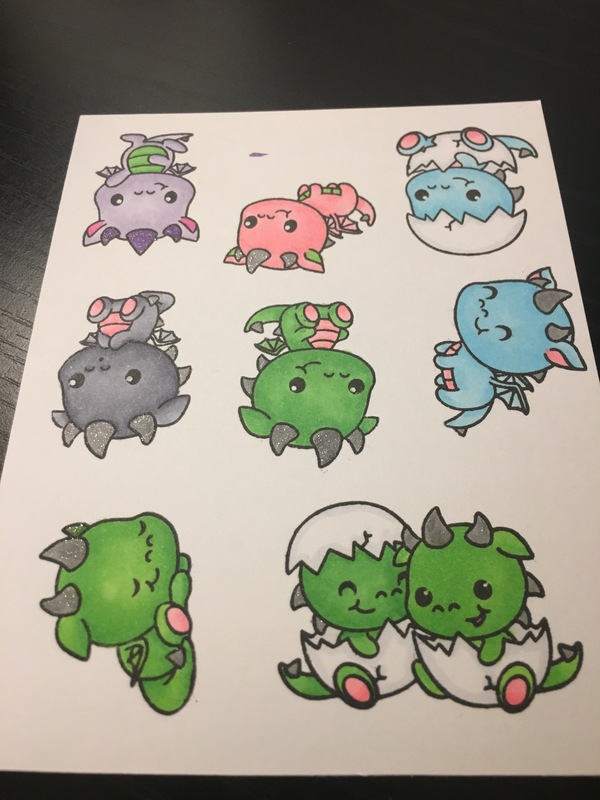 They are adorable and I colored them with Copics. Today my coloring involved blending ink. I blended Black Soot, Faded Jeans and Seedless Preserves Distress Oxide ink across masked kraft cardstock. Then I sprayed the ink with water and blotted. Then I sprayed with Shimmer spray. I owe this design to Jennifer McGuire. 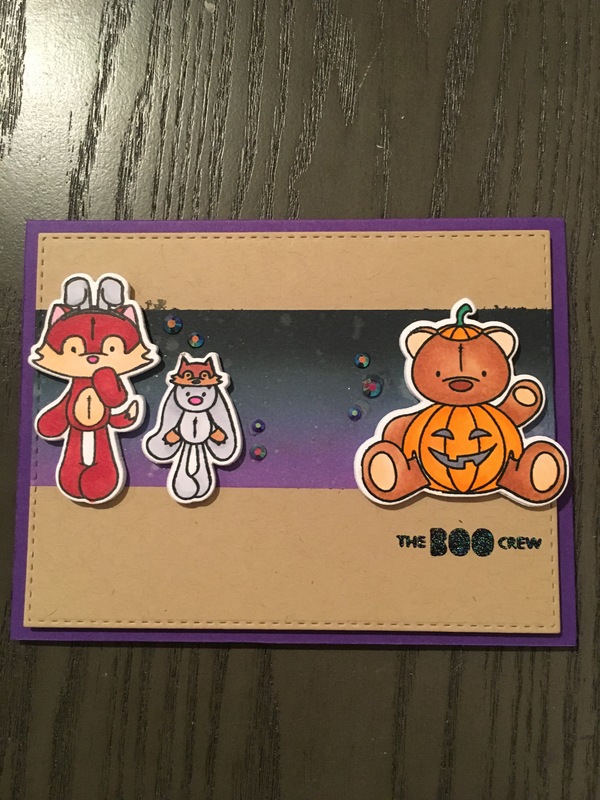 She released a video this morning that totally inspired these cards! I had to figure out something to do with all those images I colored. 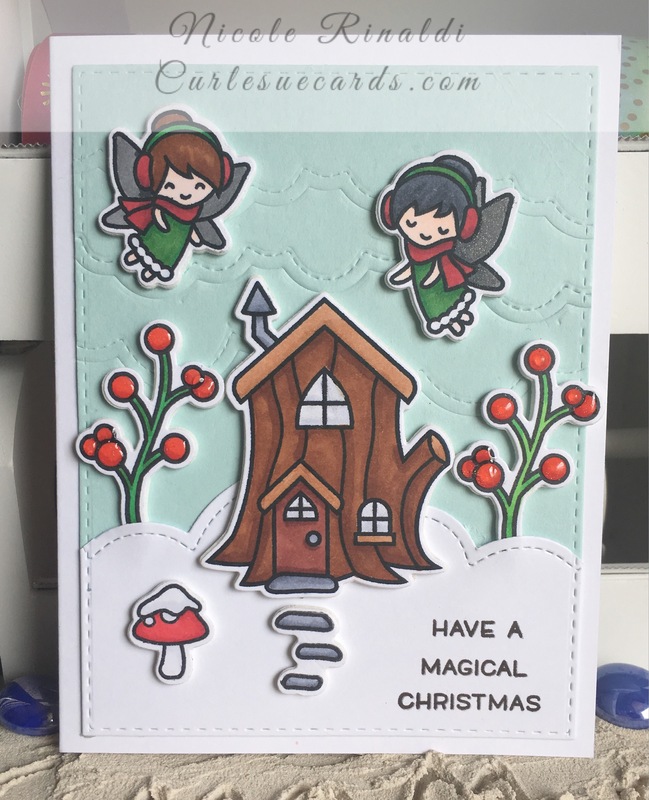 I ended up making 5 cards with this technique. Whew! That was quite a week! I am really enjoying coloring, but I’m starting to feel a little overwhelmed with all of these colored images. I ordered some Prismacolor pencils so at least I’ll be able try something new!